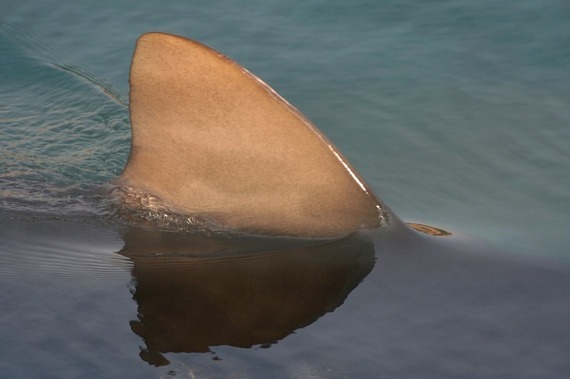 Shark attacks don't happen very often, but when they do, they tend to be in Australia. Over the past year, down-under swimmers and surfers have reported 16 attacks, nine of which resulted in some kind of injury (two were even fatal). To address this issue, lifeguards at Surf Beach in Kiama are bringing out the big guns: blimps. More specifically, one five-meter-long, shark-spotting blimp, equipped with survey cameras and hooked up to a lifeguard-monitored laptop, the Illawarra Mercury reports. Twenty-two-year-old lifeguard Kye Adams is the man behind this blimp, as the centerpiece of what he is calling Project AIRSHIP (Aerial Inflatable Remote Shark Human Interaction Prevention). The Australian government is constantly exploring initiatives to limit unwanted shark-human contact. Adams sees the blimp as a cost-effective, minimally intrusive way to keep an eye on swimming areas--especially compared with drones, which are expensive and can't stay up very long. Adams will soon test the blimp by flying it over water seeded with shark-shaped plywood cutouts. Its first real trial will coincide with the summer school holidays, which span from late December through February. Good luck, floating protector, and don't get too close to the water. Those teeth are sharp.